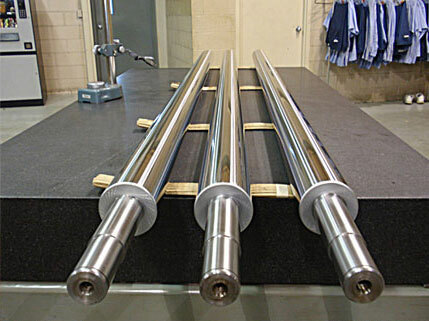 We specialize in the manufacturing of precision rolls for the coil feed, blanking, conveyor, and textile industries. All rolls are inspected through the entire manufacturing process. Proper grinding of the roll is crucial to a perfect roll finish. Using the correct grinding wheel, coolant, speeds, and feeds are some key components necessary in controlling surface finish.